1 EPIC™ Heavy Duty Compound - 16oz. 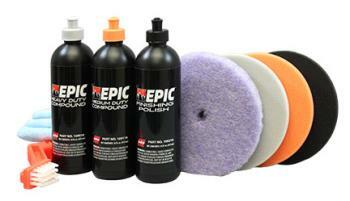 1 EPIC™ Medium Duty Compound - 16oz. 1 EPIC™ Finishing Polish - 16oz.